The Vancouver AIDS Walk is 23 days away! If you were thinking about about donating, now is the time to take action! Now until September 21st, Vancity Bake Shop is donating a portion of the sales of their delicious red velvet cupcakes to AIDS Walk. These are great for office meetings, in lieu of birthday cakes, or a hostess gift when dining at a friend’s house. 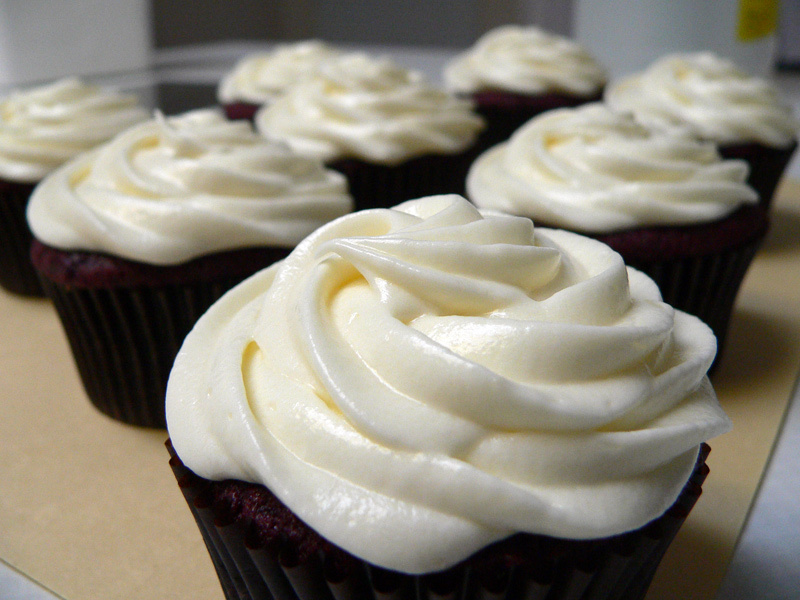 Just imagine… classic red velvet cake with a luscious cream cheese icing melting in your mouth. And you can feel good about eating this decadent treat, knowing that you are helping the folks of the Complementary Health Fund continue to support people living with AIDS/HIV in our community. Place an order for delivery by calling (604) 417-6881 or order online. Food Fair Galore Awaits at the PNE this Year! Wonderful post Mary, thank you for all that you do in raising awareness and we here at Vancity are proud to help.